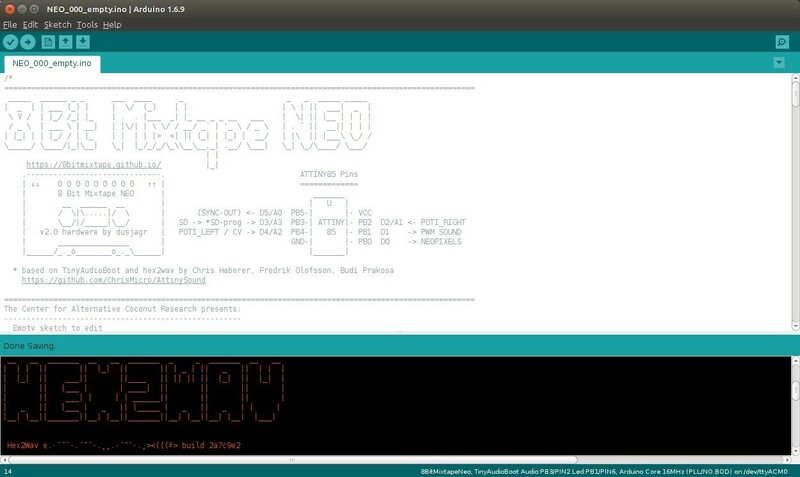 See our growing collection of dedicated code to be used with the 8Bit Mixtape NEO. Cos we don't go all the way up to Vcc, it's good to scale your ADC readout and make sure you don't get over the 10bit value of 1023. To be able that we always get the lower and upper limits better to increase the multiplyer a bit. maybe we should only ready 8but values anyway... 10bit is sooo the future! Seems that Adafruit libary works great.